Greywolf is a composistion by me. for the coming season. 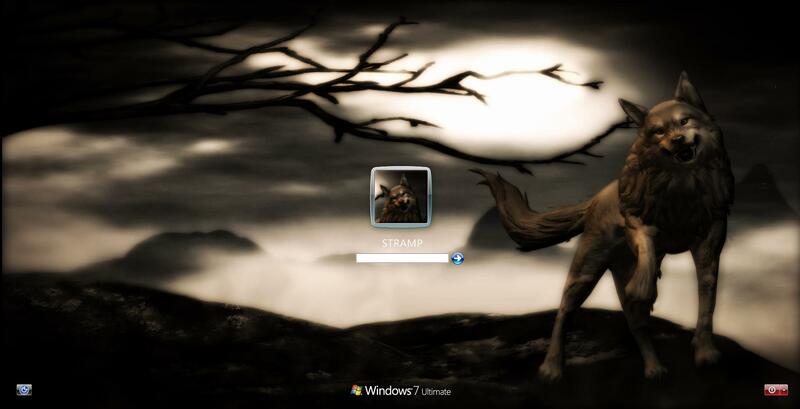 This Logon contains a custom Greycon wolf User icon for the theme which is in the folder. Many thanks to Emma (prolificstock, zememz) at Deviantart for the premade background! Background modifications, posing, lighting, coloring, special effects and handpainting by me. Permissions and credits in the folder as always.This composistion brings us into the Fall season and yes, you guessed it Halloween! THX Jim! Remember I sometimes put the Logon Wall which is sometimes Different than the wallpak walls, but I usually say so. If you see a logon wall that you want that's not included due to file size I will send you the wall just PM me. That's true for anyone that wants a Logon wall if it is not a violation of my agreements with anyone who might own a wall I didn't make.